Dell's CEO, Michael Dell, has made a subtle swipe at HP's deliberation over leaving the PC market. 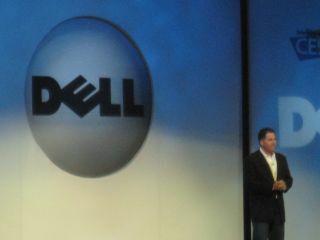 During his speech at Oracle Open World, Dell made it clear that his company had no intention of abandoning PCs. "There are many reasons to stay committed to personal computing," said Dell. "It seems these days not everyone is so totally committed... [HP] used to say the computer is personal again. I guess you might take that personally if you brought a PC from them." He went on to point out that 95 per cent of processors, disk drives and other components go into PCs, with the remaining five per cent going into storage and servers. Because of HP's immense buying power, its decision to leave the market could lead to huge price hikes from component manufacturers - which would affect both customers and PC manufacturers. "Give up that scale and you need to raise your prices," commented Dell. HP has yet to make a decision on the future of its PC business, with new CEO Meg Whitman aiming to have a firm answer by the end of October. Whitman replaced CEO Leo Apotheker, who was booted out after suggesting HP leaves the PC business. Whatever decision Whitman comes to, for now it looks like HP will still be manufacturing computers at least in the short term - even if the division is spun off as a separate company.